Find Disney magic out west in Anaheim, California with a Disney's Grand Californian Hotel & Spa timeshare resale and rental. When you browse the inventory at SellMyTimeshareNow.com, you'll uncover savings up to 70% off retail prices. Located in the heart of the Downtown Disney District, Disney's Grand Californian Hotel & Spa provides amenities, recreation, and services that will delight the entire family. The magic of Disney is alive and well at this DVC property, so much so you even have your own entrance to Disney California Adventure Park that comes with early-admission access. You'll also find three themed swimming pools with waterslides, luxurious facials and massages at Mandara Spa, and a variety of supervised crafts and fun activities for kids while you enjoy a relaxing dinner on-site. Studio, one-, two-, and three-bedroom villas are available with a wide variety of views, including courtyard, Disneyland Drive, theme park, pool, Downtown Disney District, or the woods. Each is well-equipped and features warm, modern decor to make you feel comfortable and right at home. Most offer private balconies or patios to further enjoy your view of all the hustle and bustle that surrounds. Find you Californian Disney escape with one of these fine timeshare resales or rentals. Start by filling out the form on the right or giving us a call at 1-877-815-4227. 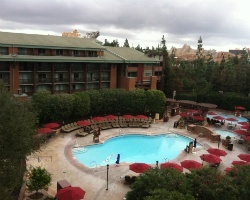 Buying a Disney Vacation Club Grand Californian timeshare on the resale market has countless benefits. For one, you are automatically saving up to 70% off the developer pricing when you shop the secondary market. Secondly, many of the benefits of ownership transfer over to resale owners such as the ability to use your DVC points to exchange for another vacation within the Disney Vacation Club network. Not to mention, most DVC resorts are sold out from the developer, making it nearly impossible to purchase anywhere but the resale market. When you browse our inventory of Disney Grand Californian timeshare resales, you'll see a variety of points-based deeded timeshares with annual usage. 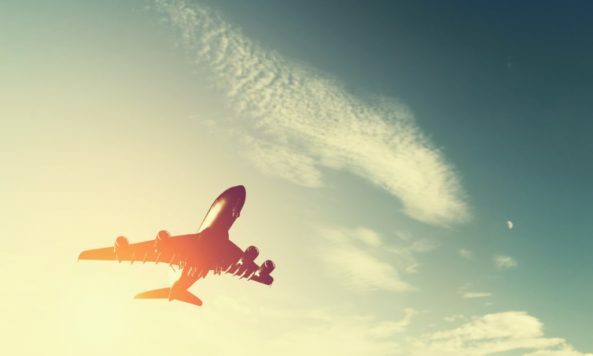 The benefit of points is that you can choose when and where you vacation each year. This way, you can always make sure a vacation fits into your ever-changing schedule. Ownership at Disney Vacation Club (DVC) resorts is a truly magical travel experience for all ages. Couples, families, and individuals alike will love the flexibility of a DVC points-based membership system, as well as the convenient owner perks. DVC also gives you the opportunity to travel outside of your home resort. Choose to visit another one of DVC's fantastic resorts by making an in network reservation. Want to go elsewhere? Make an out of network reservation and enjoy choosing from dozens of affiliated resort properties. 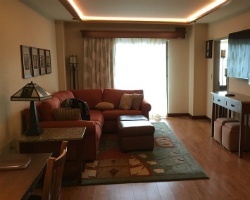 It is important to note that when you buy a DVC timeshare resale, there are restrictions. This mean that not all member benefits will transfer over to you. Learn more specific information by talking to our DVC timeshare experts. Owners of a Disney Grand Californian timeshare have the privilege of being able to exchange with leading external exchange company, RCI. As an affiliated resort, owners can purchase an annual RCI membership and exchange their DVC points for RCI points and vacation at any one of RCI's thousands of affiliated vacation ownership resorts across the world. Villas at Grand Californian Hotel & Spa is also an RCI Gold Crown rated resort, giving you a very high trading power within RCI's network. The Villas at Disney's Grand Californian Hotel & Spa offer a wealth of amenities that make your Disney vacation a fun-filled, memorable time. Swimming pools with poolside cabanas mean the kids can splash around while parents enjoy relaxation, easy access to theme parks makes your vacation hassle-free, and a state-of-the-art fitness center allows you to keep up with your workout regime while you're away. Grand Californian Villas put you just seconds to minutes away from famed Disneyland and Downtown Disney District, as well as pristine golf courses, incredible eateries, and high-end shops and boutiques throughout Anaheim. 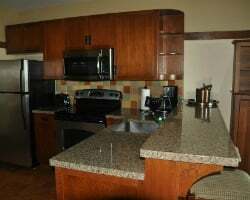 Already Own at Disney Villas at Grand Californian?